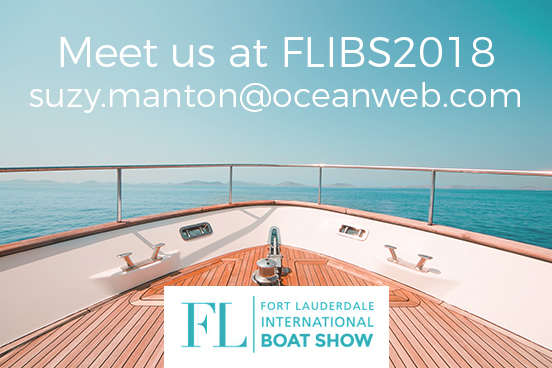 Come and speak to us at FLIBS 2018. OceanWeb are attending the 2018 Fort Lauderdale International Boat Show from October 31st to November 4th. If you would like to arrange a meeting with Will Price or Suzy Manton please contact us. Why not arrange for them to come on board your vessel and carry out a network diagnosis free of charge? They can provide details on our full range of services along with information on our bespoke products and, once an overview of your vessel communications has been established, they can determine which packages will be the most relevant to you. Also, Don’t forget to ask them for a free Beach Ball!